A former teacher at a Batley madrassah has been jailed after a judge said his behaviour suggested “sexual interest” in a schoolboy. 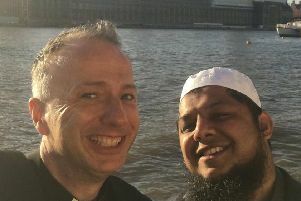 Ismail Sacha sent a number of messages via Facebook to his former pupil and on one occasion tried to get the boy to join him in the mosque’s toilets. He then made a bungled attempt to cover his tracks by pretending to be a pupil – but his fingerprints were found on the anonymous letter sent to the head teacher. Judge Rodney Jameson QC said nothing untoward happened while he taught the boy but it was obvious Sacha was “attracted” to the youngster. Leeds Crown Court heard Sacha sent messages to the boy but got no response. He ran into the boy – then aged about 12 – at the mosque in 2013 and asked him to go with him to the toilets. Once there, he made similar comments to those sent on Facebook and asked whether the boy had reached puberty. He offered to look at the boy’s private parts to check, but the boy refused and later made a complaint. Sacha was suspended by the Islamiyah Madrasah while an inquiry took place, but wrote a fake letter from an anonymous pupil saying they had sent the Facebook messages. His fingerprints were found on the letter, but he still denied writing it for a brief time. Sacha, 29, of Purwell Crescent, Batley, was found guilty at trial of arranging to meet a child following sexual grooming. David Bradshaw, mitigating, said he still maintained he was “an innocent man” and suggested it was unnecessary to immediately jail him. He added that Sacha had lost “almost everything” and is “paying a high price” as the result of his conviction. Jailing him for nine months, Judge Jameson QC said he was satisfied Sacha was behind the messages, which were “worrying” and an abuse of trust, and the letter was an aggravating feature.